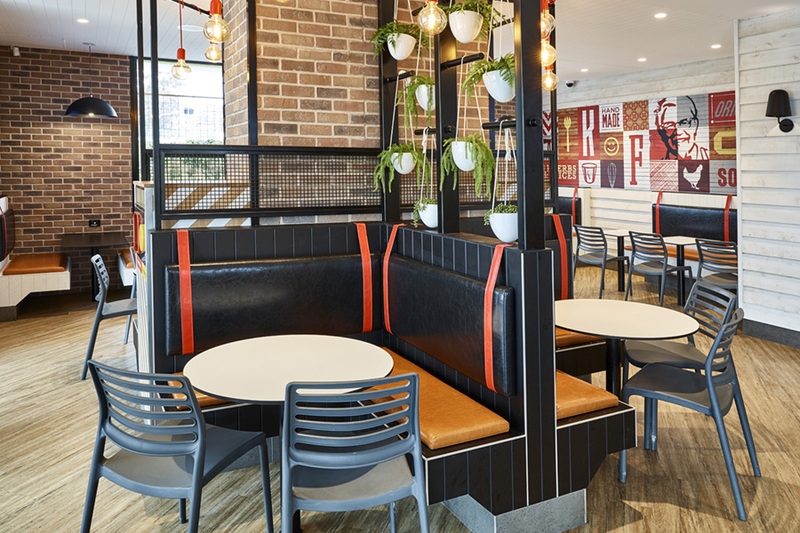 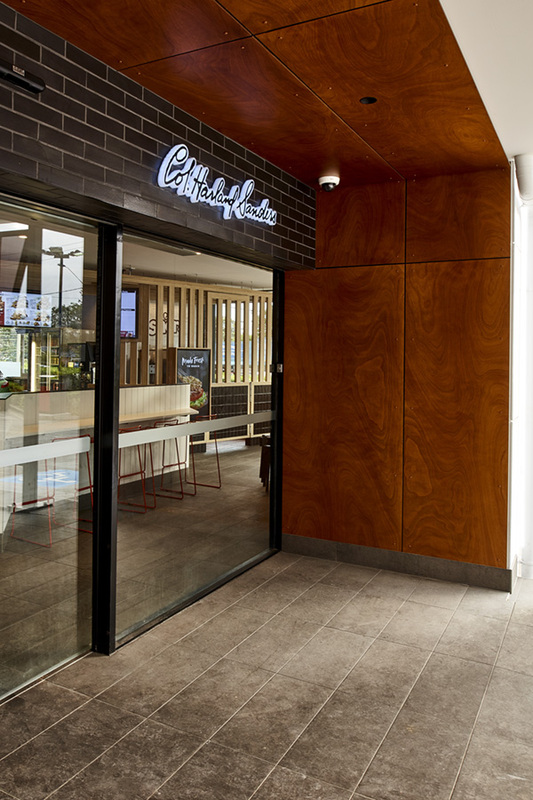 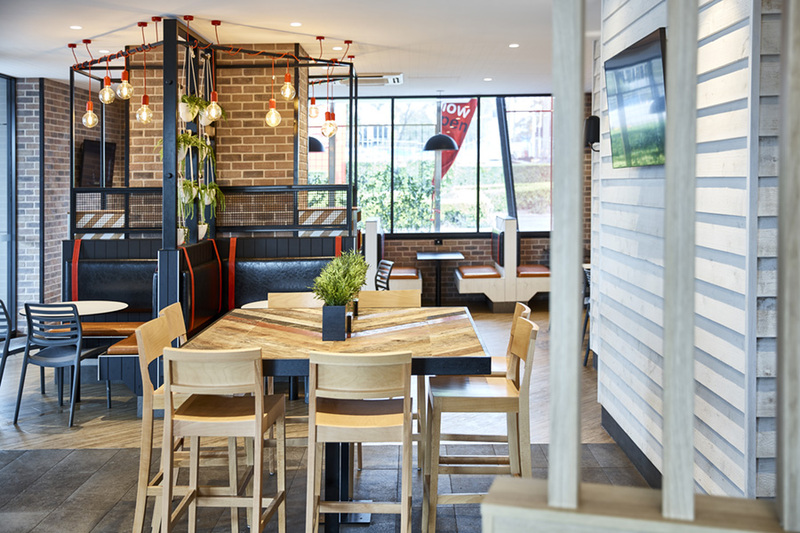 We worked closely with the team at KFC to deliver a fresh new look for their flagship store in Frenchs Forest, Sydney. 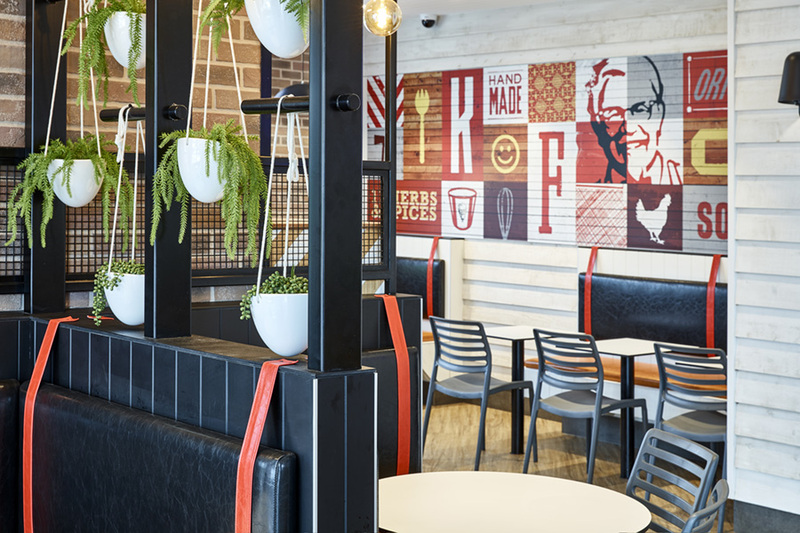 We manipulated the KFC standard palette to add extra layers of texture & warmth. 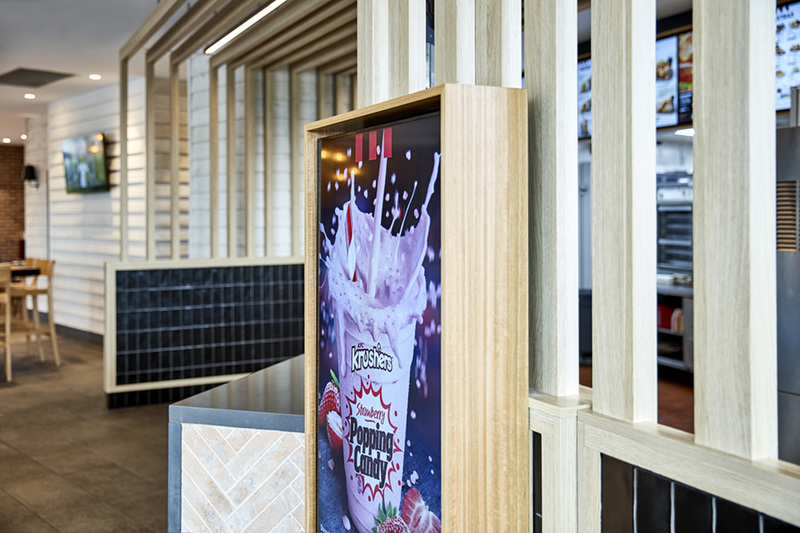 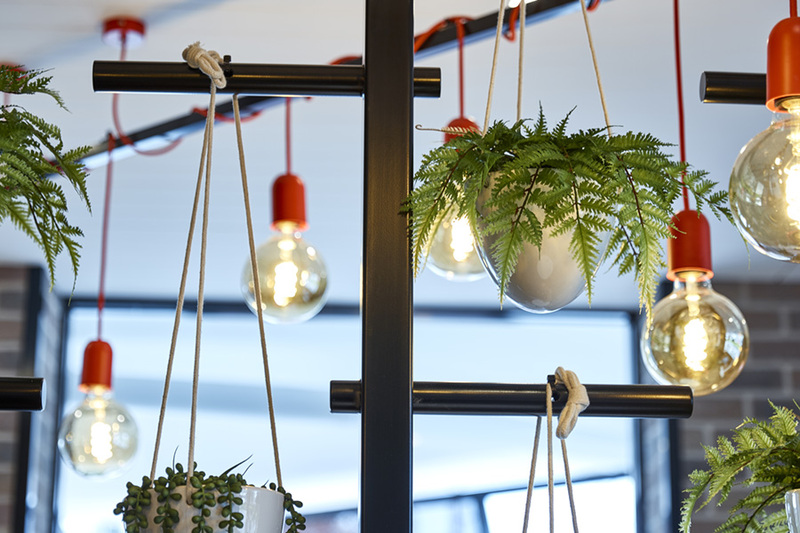 Hanging plants, custom booth seats & weatherboard cladding were adopted while warm timbers & reclaimed terracotta tiles frame the counter area.